Gail Albert Halaban takes photographs that peer through the windows of apartments and reveal the sometimes mundane, intimate, moments occurring in private life. Her urban exploration lies at the intersection of architectural photography and portraiture, presenting a holistic perspective of city life. Stylistically, Albert Halaban’s images go beyond realism, allowing the viewer to take in a full scene in focus unlike the natural ability of the human eye. This formal device emphasizes both public and private realms, balancing details of personal life with broader contexts. After moving to New York City from Los Angeles in 2007, Albert Halaban anticipated feelings of isolation and loneliness, yet instead found an unlikely sense of community. 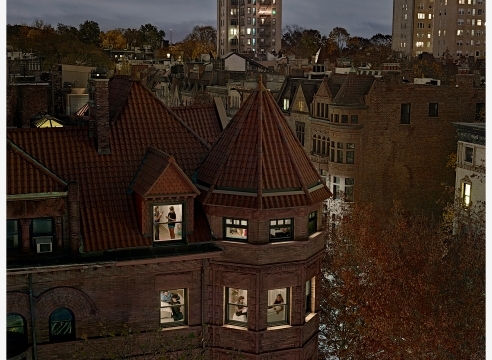 In particular, the artist recognized the millions of windows throughout the city as a key bridge between strangers. On the day of her daughter’s first birthday party, she recalls receiving flowers and balloons — from someone she had never met, but who lived in the neighborhood and had observed the day’s celebration through her windows. 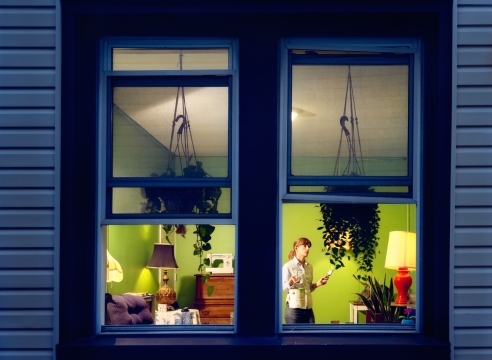 This kind gesture led to Albert Halaban’s curiosity about the anonymous proximity in which strangers coexist, prompting her to develop the series Out My Window (2007). This body of work transcends image making as the artist works with her subjects as collaborators and establishes connections that deeply impact her work. Albert Halaban has described windows as metaphors for both boundaries and gateways. 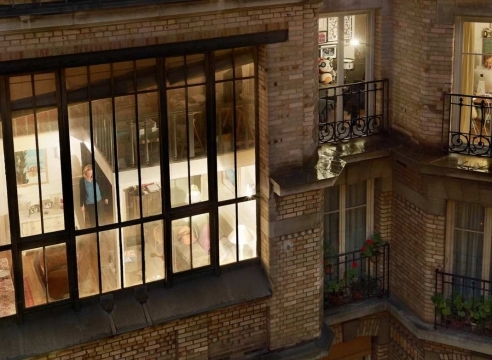 Albert Halaban awakens her viewers to consider the story behind each window, inserting humanity and compassion often overlooked in everyday life in dense metropolises. Out My Window indulges in the beauty of urban skylines and architecture. 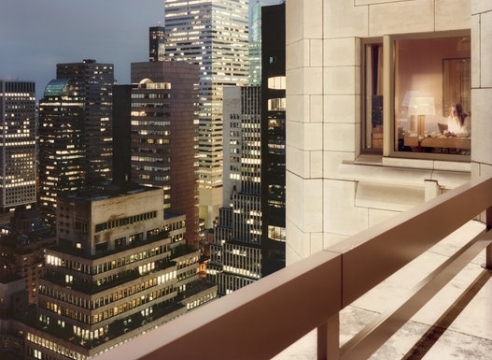 Although this series was inspired by Albert Halaban’s experiences in New York City, she expanded this work to several other locations beginning with a project called Paris Views (2012) commissioned by Le Monde. Albert Halaban’s approach to this series shifts to capture the essence of each unique city she is photographing. 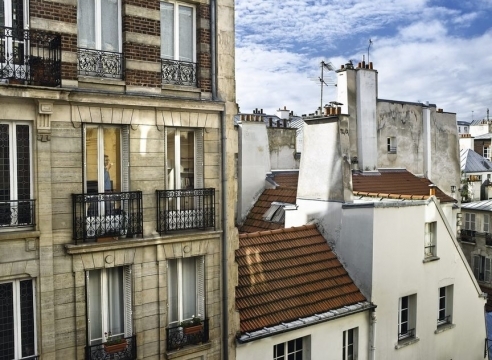 Just as the New York City series explores the distinctive neighborhoods and sights of Manhattan, Paris Views examines the quaint streets, romantic architecture, and quintessential views of Paris. Albert Halaban chose to further develop this project, creating series in Buenos Aires, Istanbul, Venice, and other cities in Europe and the United States. In addition to this ongoing series, Albert Halaban has also created Hopper Redux (2010), inspired by the paintings of Edward Hopper. 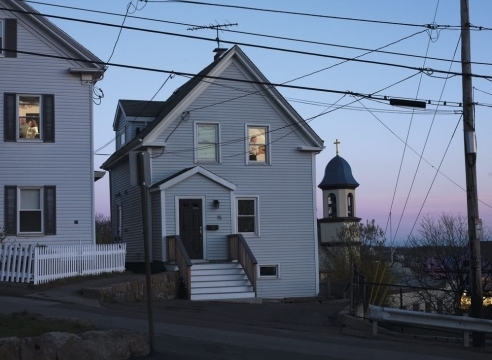 Albert Halaban photographs the same locations and buildings in Gloucester that appear in Hopper’s paintings. Each photograph in this series retains a dream-like glow, presenting something eerily familiar in a new way. Albert Halaban has an affinity for accentuating the vibrancy and character of both the personal and architectural elements she captures. 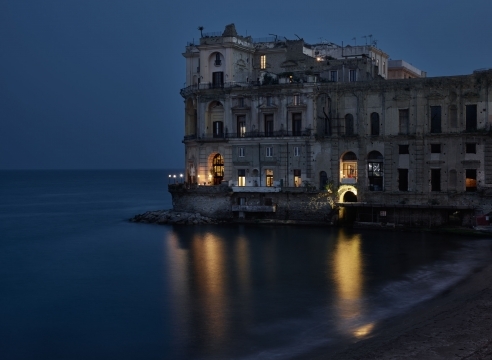 Gail Albert Halaban received her BA from Brown University and earned her MFA in Photography from Yale University. 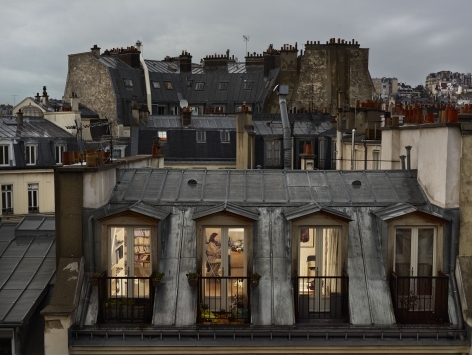 The artist has three monographs of her work, including Out My Window (PowerHouse, 2012), Paris Views (Aperture, 2014) and Italian Views (Aperture, 2019). 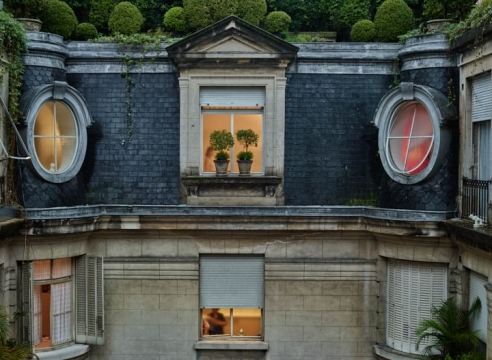 In 2018, The George Eastman Museum in Rochester, NY presented a solo exhibition including Out My Window images taken all over the world. In the summer of 2019, Edwynn Houk Gallery will also present a solo exhibition of Albert Halaban’s works. The artist currently lives and works in New York City. 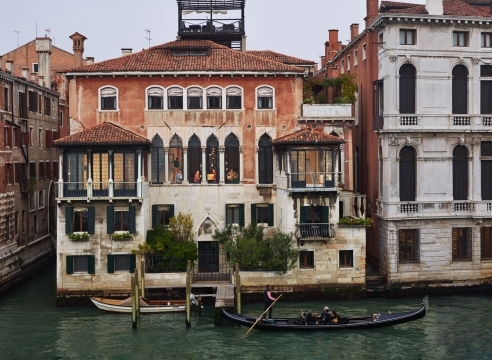 Rizzoli Bookstore and Aperture invite you to a talk with photographer Gail Albert Halaban and curator Lisa Hostetler to celebrate the publication of Gail Albert Halaban: Italian Views. Halaban’s images give us permission to look, and to imagine. Made in several Italian cities, the photographs allow us to peer through people’s windows as if we were their neighbors across the way. Halaban collaborates with her subjects, lighting and directing the scenes, turning them into actors in their own homes. The images satisfy our curiosity and, Halaban believes, the mixture of fact and fiction in the scenes we see imbues them with a potential that voyeuristic images don’t have. With a straight documentary image, “I don’t think your imagination would have a chance to wander as much,” she explains. “The fact that we know that it’s staged and fictionalized allows the viewer to participate in that storytelling,” she explains. 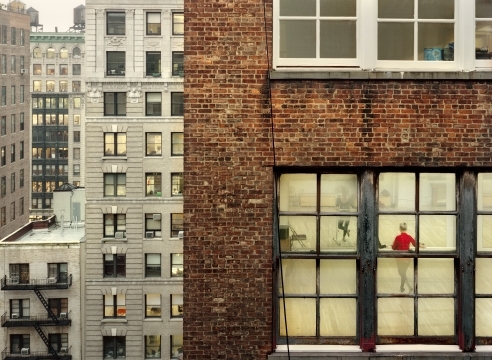 The future lies behind us; Gail Albert Halaban’s “Out My Window” project is as conceptual as contemporary arts projects are (alas) expected to be, but its modus operandi takes up practices from the early days of photography. In the 19th century, Julia Margaret Cameron, Henry Peach Robinson, Oscar Gustave Rejlander and other photographers set up elaborate tableaux vivants as their subjects. Ms. Halaban (b. 1970) also stage-manages tableaux vivants; she arranges her subjects in the windows of one building so they can be photographed from the window of a building across the way. She has been doing this for over a decade and on several continents, publishing and exhibiting the pictures from individual cities, but the George Eastman Museum show is the first time her work from multiple cities can be seen together and compared. A new exhibit opening at the Eastman Museum may change the way you look at your neighbors. Gail Albert Halaban had only been living in New York City for a short time when something weird happened. It was her daughter's first birthday, and they received a package in the mail from her neighbors in the next building over. Turns out I’m not alone in my curiosity about my neighbors’ tastes in window coverings. 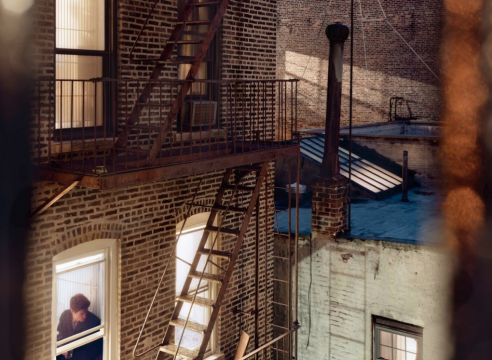 New York-based photographer Gail Albert Halaban has spent 13 years photographing people’s relationships with those they can see from their windows–and actually helping them meet each other. 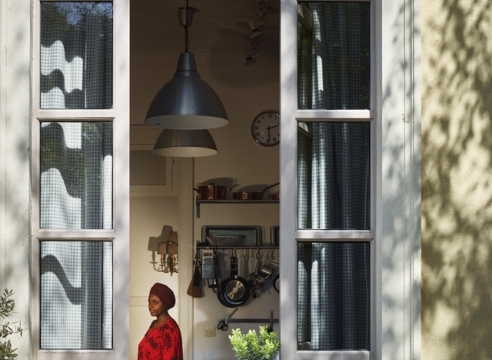 For her sprawling, multi-city photo series Out My Window, Halaban helps a person meet the folks who live across from them, and then stages a photograph of those people with their permission. 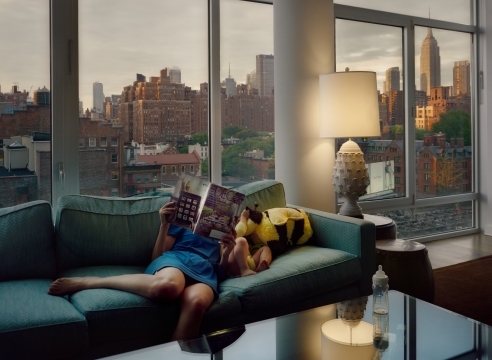 She sets up lighting in their apartment, and then photographs them from across the way, capturing their lives through the window. Gail Albert Halaban’s Out My Window is both a penetrating exploration of modern community and a group of moving and beautiful photographs. The project started when she moved to New York from Los Angeles. In an effort to combat feelings of loneliness and isolation, she began to use her art as a way of connecting with her neighbors. She starts by explaining her work to potential participants and asking for their involvement. If they agree, Albert Halaban facilitates communication among the neighbors and arranges to photograph one from the window of the other. In this way, Albert Halaban employs photography as a form of social engagement. For despite platitudes about modern technology making the world a smaller place, this same virtual environment can also result in feelings of isolation and extreme self-absorption. By connecting strangers who live across the street from each other, Albert Halaban’s expertly composed, beautifully rendered, large-scale photographs encourage viewers to take a fresh look at the people they see every day. 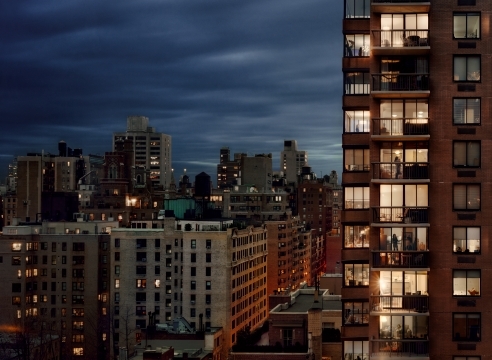 The idea behind this long and intense project, entitled Out of My Window, occured to this New York photographer many years ago, during one of those intimate moments mothers experience while nursing as she looked out the window of her apartment one night. Peeking into other people’s houses (with their permission, obviously) Gail Halaban gives a representation of humanity. Original and without filters. Peering over the edge of an ornate building lining the Avenida de Mayo, Gail Albert Halaban trains her lens on the window of the opposite building. Below her, one of the city’s busiest thoroughfares pulses with commuters in motion, cars honk in the late afternoon swell, yet with the orange haze of dusk setting in behind her, the photographer snaps her subject with silent conviction. The inspiration for Gail Albert Halaban’s international Rear Window–esque photography series is, like the Hitchcock film, a bit creepy. In 2007, Albert Halaban, her husband, and their newborn daughter moved from Los Angeles to a loft-style apartment in Manhattan. On her daughter’s first birthday, balloons were sent to the apartment from the florist across the street. There was a note saying how great it had been watching their daughter grow up. The family had never met the florist. Une femme qui enfile un corsage, un couple qui se dispute… En 2012, Gail Albert Halaban avait observé, tout spécialement pour “M Le magazine du Monde”, la vie intime des Parisiens, d'une fenêtre à l’autre. De ce travail, la photographe américaine a tiré une série, “Vis-à-vis”, aujourd'hui exposée à la Houk Gallery, à New York. Gail Albert Halaban was first inspired to train her artistic gaze through others’ windows during a period of personal tragedy. While her five-year-old son was in the hospital for serious heart surgery, the photographer contemplated the nature of modern care, which allowed doctors to glimpse her son’s medical realities through electronic devices. “I realized all the technology in a hospital is remote. The doctors were monitoring my son’s heart from a different floor. They could look inside his body without being near him. I realized I could look at the world in the same way,” she told the British Journal of Photography. 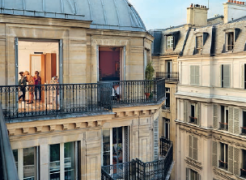 As this year’s edition shows, the Paris Photo fair is displaying an evermore panoramic view of the photography art market. 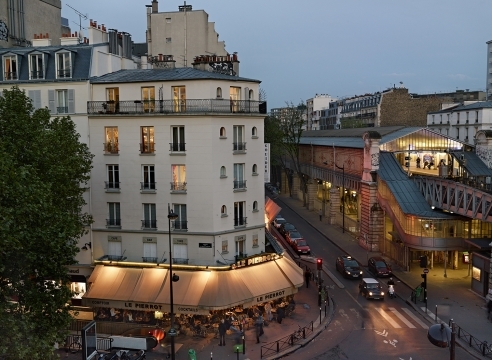 Since the world’s largest photography fair moved to the glass-domed Grand Palais in 2011, Paris Photo has shifted from what was once seen as a pure photography event to a fair that attracts more well-known contemporary art galleries and shows works that aren’t always defined as simply photography. How do you make friends in a big city? Despite brushing shoulders with hundreds of strangers every day, it’s easy to feel like a ship at sea. Anonymity can be comfortable, though, which is why — for many of us at least — the desire to connect rarely propels us beyond a voyeuristic curiosity about the neighbors. The lit, open window quickly becomes a lozenge for loneliness. This suspended state of communion is something we can all identify with. It simmers through the paintings of Edward Hopper, films like Rear Window and Amelie, and the writings of people like Charles Baudelaire and Paula Fox. 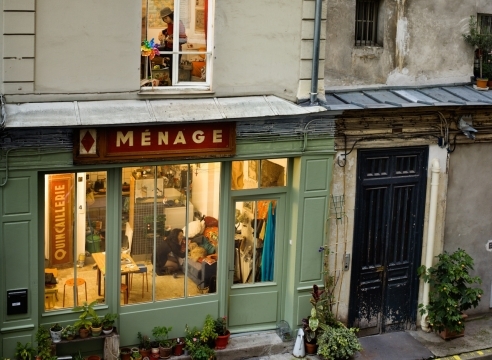 More recently, photographer Gail Albert Halaban has mined it to great effect in her series VIS-à-VIS, Paris, which features cinematic scenes of domestic life frozen within the city’s bright window frames. 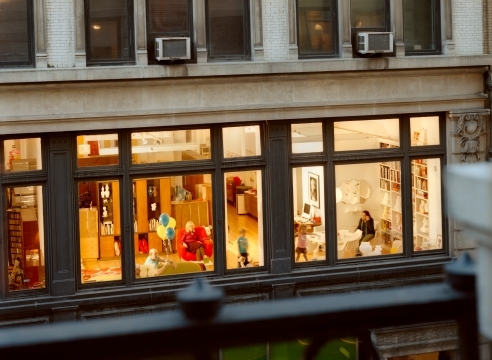 New York-based photographer Gail Albert Halaban first began peering into people's windows many years ago, and her fascination with the public versus the private in urban life inspired a voyeuristic photo project and then a book, Out My Window, in fall 2012. 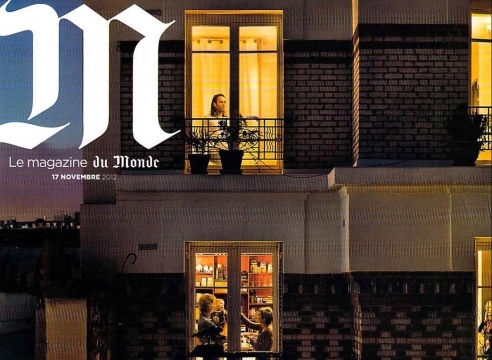 It caught the eye of Cathy Remy, photo editor for Le Monde's M magazine, who invited Halaban to take her show on the road to Paris a few weeks later. The initial process went the same in Europe as it did in New York, with a few exceptions: Remy and Halaban found participants through Facebook, friends of friends, and word of mouth, and all gave permission in advance, though reactions toward the nature of the shoot were a bit polarizing. Many of the houses Hopper painted when he summered in Gloucester in the 1920s are still here. Photographer Gail Albert Halaban has revisited them, photographing them from the same perspective from which Hopper painted them. 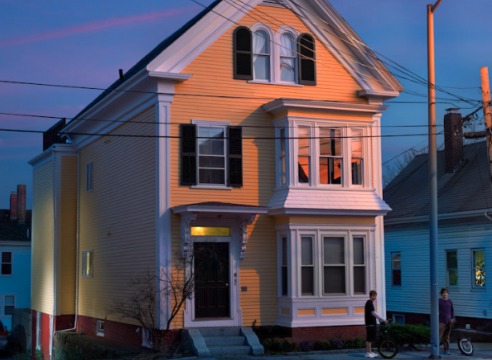 “Hopper Redux, Photo-graphs by Gail Albert Halaban,” now up at the Cape Ann Museum, looks at these homes, their inhabitants, and their history, through a contemporary lens — although one clearly shaped by Hopper. This exhibit is not, by any means, an Edward Hopper show. There is one drawing by Hopper on view, from the museum’s collection. Otherwise, it’s all Halaban’s photographs, which have their own poetry: startling clarity, luminous, whiskey-rich tones, and a certain melancholy that adds gravity to the visual bravura. 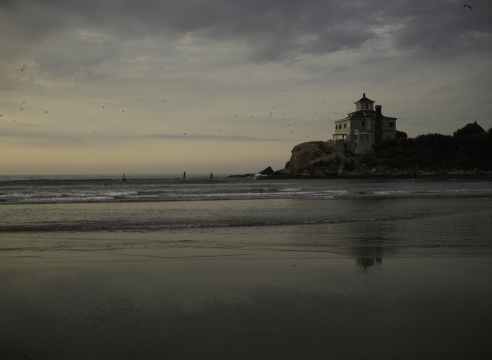 Photographer Gail Albert Halaban spent her childhood summers in Gloucester, Mass., a small seaside town where her father was born. "I never thought it was that interesting of a place," she says. "The beach was beautiful, but I was interested in getting to know it better." 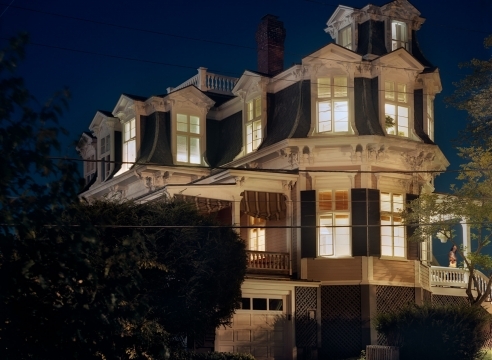 So she was somewhat surprised to learn that Edward Hopper, the beloved American realist painter, had also spent his summers there decades earlier; for whatever reason, Halaban says, people in town rarely talked about it when she was growing up. Still more curious was that although Gloucester is a town of picturesque coastal scenes, Hopper mostly painted houses. Gail Albert Halaban et Edward H.
French magazine En Direct de New York speaks highly of Gail Albert Halaban's "Hopper Redux". "...Thanks to a dramatic lighting and meticulous placement of accessories and people put in these houses stage act as full-fledged characters, moving on the passage of time. The formal composition of each image - rigorous, highly structured and deliberate - and isolated homes recall the melancholy paintings." The life of a city is revealed through its windows. All human life is there, and a poetic slice of it has been captured by Gail Albert Halaban's ever-observant camera. Her photos in Out Of My Window (powerHouse Books, $50) are revelatory and yet somehow melancholy as the figures appear silent, and often alone. In a week where the lights went off in skyscrapers all over Manhattan, and people either left or sat, candlelit, in their apartments, these images have an increased poignancy. Les images sont si semblables qu'on est tenté de jouer au jeu des 7 erreurs. 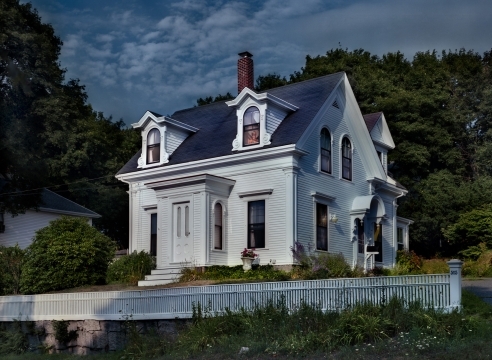 Soixante-dix ans après Edward Hopper, la photographe Gail Albert Halaban a arpenté Gloucester, revisitant les demeures victoriennes immortalisées par l'artiste. Gail Albert Halaban gets high praise from NY Magazine in August 27th's edition of "The Approval Matrix". 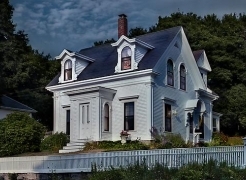 Gail Albert Halaban has identified 16 houses in Gloucester, Massachusetts, that were painted by Edward Hopper over several summers in the 1920s and she reckons there are a few more that have, as yet, escaped her notice. 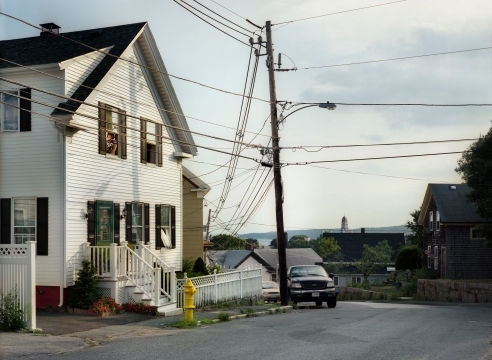 Over the past three years, Albert Halaban, a fine art photographer whose work has appeared in the New York Times and Time magazine, has been tracking down the Hopper houses in Gloucester, a picturesque city on the Atlantic coast, and photographing them from the same vantage points that the great American artist used to paint them from nearly a century ago. Albert Halaban was not trying to imitate Hopper's watercolours, nor was she the first to discover the houses – the subject of The Mansard Roof (1923), a large, elegant residence in the city's Rocky Neck area, has had homage paid to it by Hopper enthusiasts for decades. Her interest has more personal motivations – her father grew up in Gloucester and she's been spending summers there since childhood, so was intrigued to see how another artist had responded to the city. "It's given me a fresh set of eyes on something I know very well." 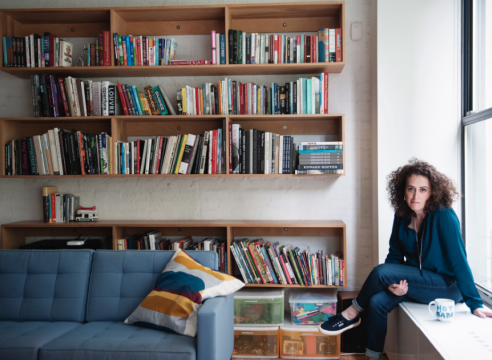 Gail Albert Halaban began looking into other people’s windows six years ago, soon after moving to New York. She was living across the street from a 24-hour flower shop, waking up at all hours with a newborn baby, and the shop was the most reliable show in town. Then, when the store changed owners and hours, she said, she needed something else to watch. “I really wanted to see the whole city, and the only way to do that was from other people’s apartments,” she said.